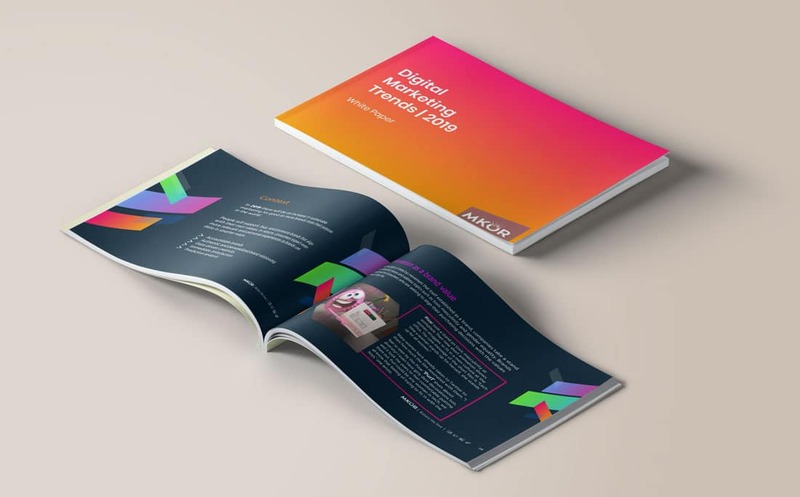 Can you think of any business process digitizing so fast and creating as many new trends as Digital Marketing? Keeping up with all the changes, challenges and opportunities is now, more than ever, the key for successful companies, which grow with the trends. We’ve spent entire weeks documenting the latest, the greatest, the juiciest marketing trends out there, so you don’t have to. And we’re giving it away for free (more on that down below). In 2019 there will be an increase in sustainable marketing for good as more brands state their purpose in the world. People will support, buy, and promote brands that align with their own values. In return, consumers expect even more relevant and personal experiences as brands use data in smarter ways. Top brands must know how to seize the opportunities and face their challenges, taking a proactive stance and welcoming change. Marketers have to understand the new demands of their more aware consumers and use technological advances to their advantage, to deliver superior value. What are the main trends to look for in 2019? 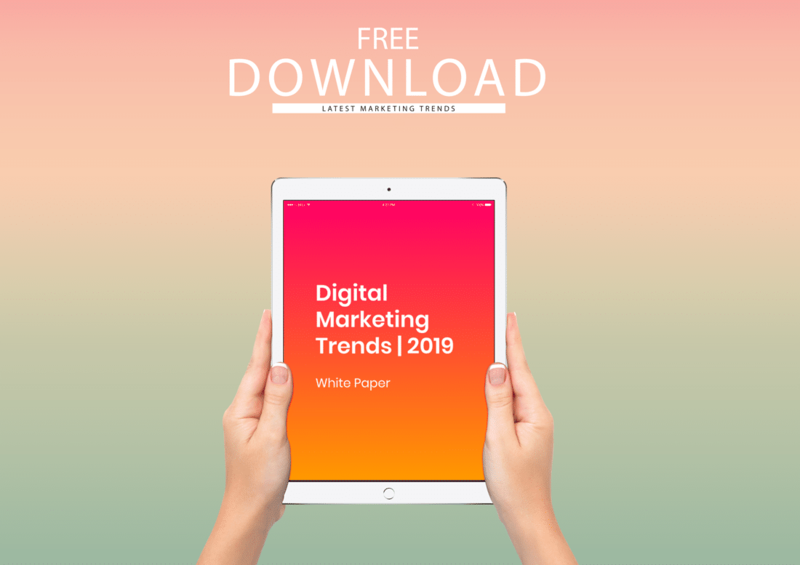 Building on the trends we have already seen in 2018, in 2019 digital marketing will continue to focus on personalization and making use of video content and interactive experiences. We can also see a rising demand for purpose-driven, accountable brands and experiential marketing. These developments are neither new nor unheard of in the already dynamic marketing environment. They are sometimes surprising, often disruptive, yet the normal evolution of the new technologies easily available to consumers everywhere. Delivering a more customized and seamless experience to consumers should be one of the main goals of a marketer in 2019. As they look for more personalized and exciting interactions with brands, the first businesses that will be there to actively understand and respond to their needs will have a significant advantage, regardless of their industry. Companies must also understand that they are building their brands on more than good products at competitive prices. Consumers, especially the younger Millennial and Generation Z, are looking for brand personality, for brands that positively contribute to the well-being of the society. The report was conducted by MKOR Consulting, a team of professionals who referred both external and internal data sources. We dedicated all the time and effort necessary to deliver the highest quality and updated information regarding digital marketing. Extremely well-documented, our study references reliable & relevant publications and articles of external marketing experts. It also contains our personal input and experience, gathered from recent conferences and our own research study results. 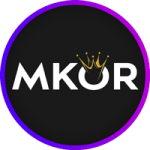 We, MKOR Consulting, are always actively trying to keep up with all the recent developments in marketing, tech, and business. For this reason, apart from working with our clients for their personalized needs, we conduct our own research and studies. We take much pride in presenting our findings (free-of-charge), in order to offer the general public useful insights and expert analysis. Eager for more knowledge? Feel (literally) free to browse our public database or if you wish to work with us, we invite you to send us a message. Have you read everything? Comment / join our newsletter / read our other research posts!